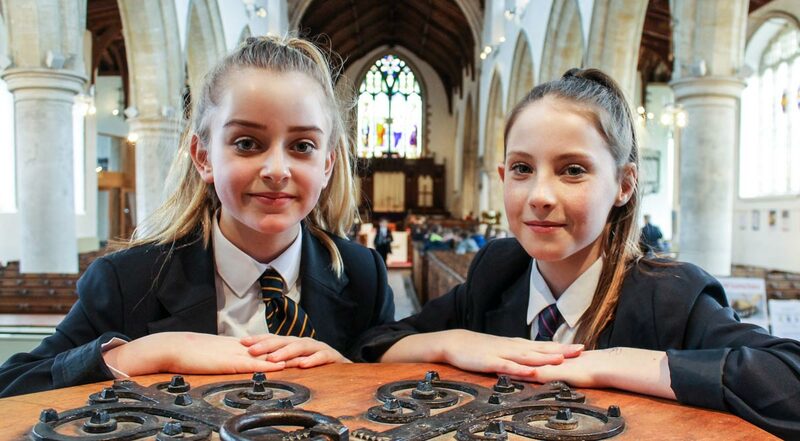 The Inspired Classrooms project is a unique partnership between the Diocese of Norwich, the Aylsham & District Team Ministry, the National Lottery Heritage Fund and the Aylsham Cluster Trust of Schools. At its heart, it is designed as an accessible way to open up churches as ‘creative classrooms’ – spaces in which pupils can enjoy cross-curricular learning inspired by their fabulous surroundings. Such learning is designed to challenge and overturn the widely held perception that churches are places in which only an RE Syllabus can be delivered. Inspired Classrooms explodes that myth by suggesting hugely creative ways in which schools can deliver English, science, mathematics, humanities, the Arts, PSHE and RE – all through active engagement with their local churches. It does this by offering a series of highly innovative lesson plans and challenges for pupils and students at Key Stages 1, 2 and 3 - all of which are intended to help them develop a range of key skills such of research, teamwork, focus and creativity. There are other Tools here that will help with the delivery of cross-curricular lessons within churches. For example, the church finder helps you locate and organise a visit, the risk assessment provides a model template and the QR Code Resource Bank provides links to further information that pupils can search for and access whilst in the church, even if the building has no wifi! pupils has always been sought and incorporated as the lesson plans have developed. We are very grateful to our Teachers Working Group and the schools we have worked with for their time, energy and creativity. Although originating in Norfolk and using our local cluster of Aylsham churches as worked examples, this Toolkit is generic and can be used by any church and by any school at any time. No other heritage learning resource has the richness or cross-curricular potential of parish churches. You will find such Inspired Classrooms all over the country and this Toolkit enables you to explore and enjoy them.